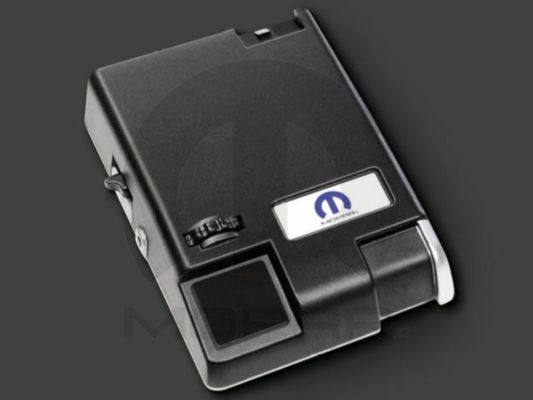 Integrated Trailer Brake Control Module allows driver to automatically or manually activate the electronic brakes on properly equipped trailers for greater stopping power on downhill grades. The controller and status display are mounted in the dashboard to the left of the steering wheel, and the included control lever can activate the trailer brakes independent of the truck's brakes. Drivers can customize the amount of brake force the trailer uses, depending on load requirements. Disclosure(s): Before ordering the Mopar Integrated Trailer Brake Module (ITBM) kit, it is necessary to check if the vehicle has both trailer brake module connectors. These connectors are located under left side of the steering column. Both connectors are 4 pin connectors. If both connectors are not present the ITBM kit cannot be added to the vehicle. Install was a piece of cake. have not been able to use it yet but it lights up and I assume everything will be be perfect.